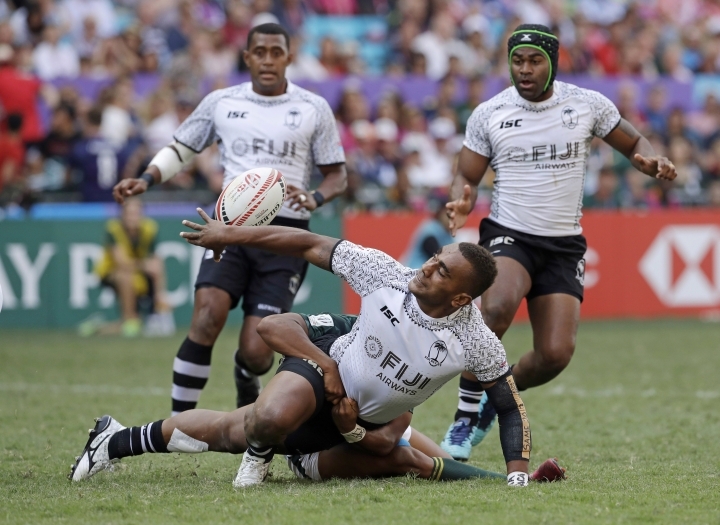 HONG KONG — Fiji won a fourth successive Hong Kong Sevens after pouncing on Kenya's ill-discipline and errors to take the final 24-12 on Sunday. The most successful team in the tournament's history, Fiji matched England's record title run from 2002-06, won a sixth title in seven years, and 16th overall. Captain Jerry Tuwai stressed the defense and Josua Vakurunabili finished on the outside for the opening try. 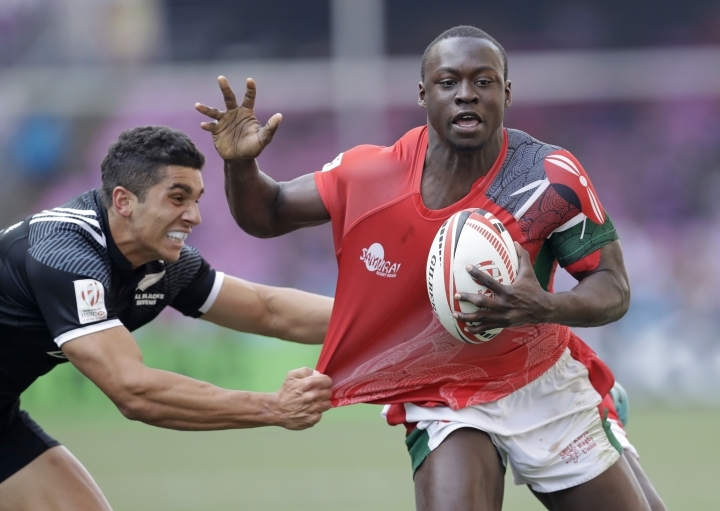 Tuwai was then denied in a try-saving tackle by Willy Ambaka, but Tuwai drew a foul from Kenya's Collins Injera, who was yellow-carded. Moments later, Ambaka joined Injera in the sin-bin for a tackle off the ball, and Kenya was down to five players against seven. 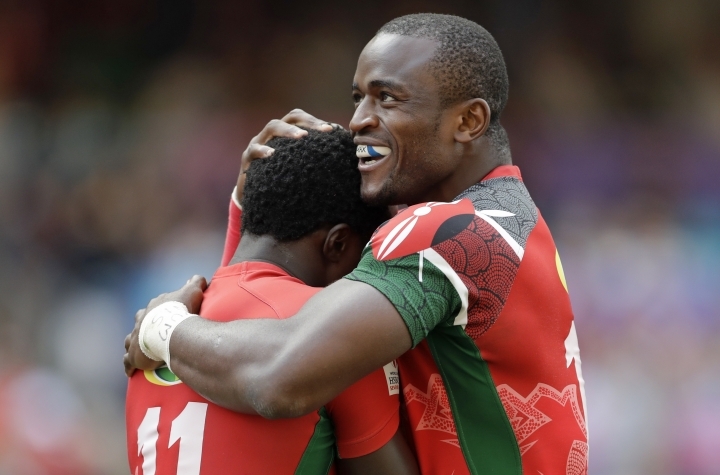 Kenya tried retaining the ball to wait for Injera to return but after the halftime hooter it gave away a penalty, and Amenoni Nasilasila combined with Vakurunabili to score a try, and convert it for 17-0. 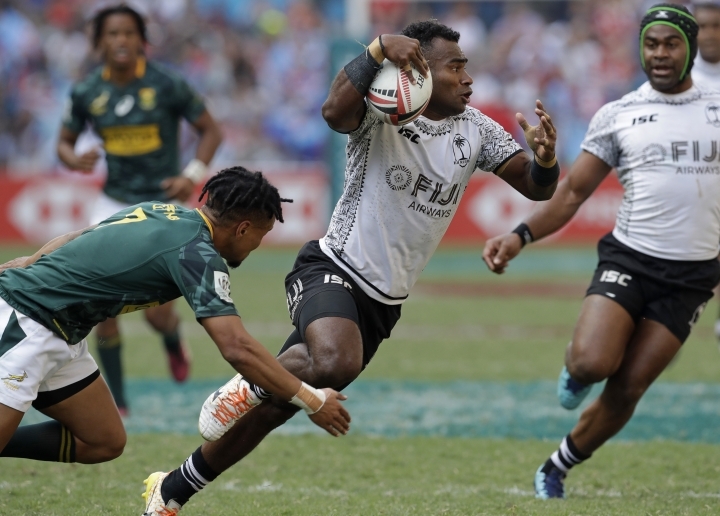 Nasilasila sent in Vatemo Ravouvou for Fiji's fourth try and a 24-5 lead with less than two minutes to go, and the certainty of a 25th straight win at Hong Kong dating to 2014. 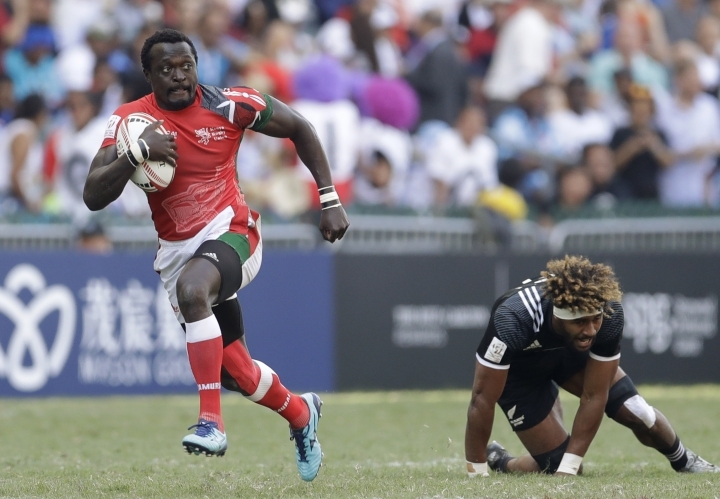 Kenya finished with an Oscar Ouma converted try after the hooter in its first Hong Kong final. "Hong Kong is always special for us," Tuwai said. "We brought the No. 1 team here, not like the others, because we respect and honor the tradition Fiji has at the Hong Kong Sevens." Many other teams saved their best players for the Commonwealth Games next weekend on the Gold Coast. All four Hong Kong semifinalists will feature on the Gold Coast, with Olympic champion Fiji favored to win its first Commonwealth gold medal. 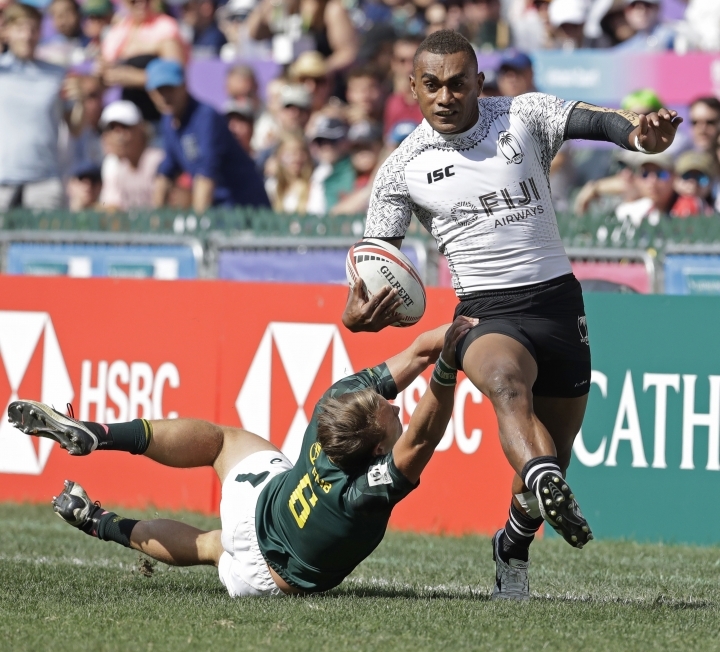 South Africa finished third after beating New Zealand 29-7 but its lead in the world series was cut to three over Fiji.